Honda has launched facelifted variant of accord. On the exterior, the new Chrome accentuated front grille, rear chrome garnish and new front bumper adds to the charm of the Accord. The Sunroof now comes as standard across the Accord range which gives the car an impressive panoramic feeling making it look brighter and larger. Addition of Steering mounted cruise control system helps one to cruise at the desired speed to ensure comfort and convenience for the customer with one-touch operation and ORVM with turn indicators makes it more stylish and enhances the looks of the car. The inside wooden panel makes it look even more exquisite. The Accord now comes with an advanced improved audio system for improved usability & readability and Jackknife key have also been added to the Accord. Honda Accord is equipped with Vehicle Stability Assist (VSA) to assist the driver in maintaining control during cornering, acceleration and sudden maneuvers by applying braking to the right or left hand wheels as necessary and modulating the engine torque output as required. 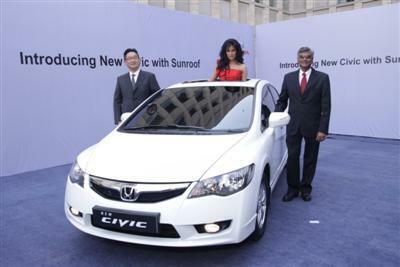 Honda siel today announced a re-call of 60,000 city sedan in India. The company would replace the lost motion spring in the valve train in City cars manufactured between November 2008 and December 2009, Honda Siel Cars India Ltd. said. The replacement would be done free of cost by informing customers directly, it added. Honda said the recall doesn’t impact the latest version of the City sedan that is currently produced and sold in India. “Honda Siel is proactively replacing the part in these vehicles with a new improved part,” it said. “Lost motion springs, which are compressed by rocker arms in normal engine use, may bend or break over time, resulting in abnormal engine noise and potentially causing engine stalling and problems in re-starting.” This will be the second recall of City sedans in about a year. In January last year the auto maker recalled 8,532 City sedans manufactured in 2007 to replace defective power window switches that could cause a fire. Honda currently produces the City, Jazz, Civic and Accord cars in India. It also imports and markets the CR-V sport utility vehicle. Honda Jazz Shuttle is here. Click here to checkout our Exclusive slideshow of Honda Jazz Shuttle. 2011 HeroHonda Karizma is here. Click here to checkout our Exclusive slideshow of 2011 HeroHonda Karizma. Honda Siel Cars India, leading manufacturer of premium cars in India, today launched the new Honda Civic with sunroof in presence of renowned Bollywood actress Chitrangada Singh along with Mr. Tatsuya Natsume, Director, Marketing, HSCI and Mr. Jnaneswar Sen, Vice President , Marketing, HSCI. The introduction of sunroof gives the car an impressive panoramic feeling making it look brighter and larger. The Sunroof was found to be the most desirable feature in the Civic based on the customer’s feedback. Honda Civic will have a new color Urban Titanium along with the existing colors available in the range. Launched in 2006, the Honda Civic redefined the lower D segment of passenger car segment in India. HSCI has sold over 50,000 units cumulatively in the last 4.5 years and has won several automobile awards including the Indian Car of the Year (ICOTY) 2007 and topped the JD Power Initial Quality Study in 2010 with the best ever score in the Industry. The 1.8 L i-VTEC engine in the new Honda Civic is the most advanced engine technology available in the segment. It combines Honda’s i-VTEC (Intelligent Variable Valve Timing and Lift Electronic Control) technology with VTC (Variable Time Control), delivering both powerful performance and superior fuel economy. The ARAI fuel efficiency results of 15.5 km/l for Civic MT reiterates its unmatched fuel economy. The Honda Civic comes fully loaded with various active and passive safety features including ABS (Anti – Lock braking system) with EBD (Electronic Brake – Force Distribution System) & Brake Assist, Dual SRS airbags and pre-tensioner seat belts. Honda’s Advanced Compatibility Engineering Body (ACE) and G-CON (G-Force Control Technology) provide a high integrity survival zone that enhances self-protection and better compatibility in collisions with other vehicles. The Honda Civic comes with a 2+2 year warranty and 24-hr roadside assistance as standard value for all new Civic buyers. Honda Civic 2012 is here. Click here to checkout our Exclusive slideshow of Honda Civic. Maruti will formally launch its Kizashi sedan on February 02nd. Maruti will import the kizashi as a CBU from japan and set to take on Volkswagen Jetta, Skoda laura and Honda Accord. The pricing of kizashi is likely to be between Rs14 – Rs18 lakhs. Kizashi will come in both manual and automatic transmission. Powered with 2.4L petrol engine this would be fastest Maruti ever launched. “This (Kizashi) is our attempt to be future ready, as we believe the A4 and A5 segment (luxury) is going to grow. It is small at the moment but the way the economy is growing, this segment is going to be big,” Maruti Suzuki India Managing Executive Officer (Marketing & Sales) Mayank Pareek told. There are nine million Maruti Suzuki customers at present. Many of them want to move up and have been asking after the SX4, what next? What we are doing here is to provide them options in luxury segment,” Pareek added. While Honda plans CBR250R and Bajaj plans Pulsar 250, Yamaha can’t be silent for long. Yamaha will join the quarter litre bandwagon with FZ250. Yamaha FZ250 will come with loads of technology including the Fuel Injection, four valve and liquid cooled engine. Yamaha FZ would follow the design theme Yamaha’s successful FZ -series. 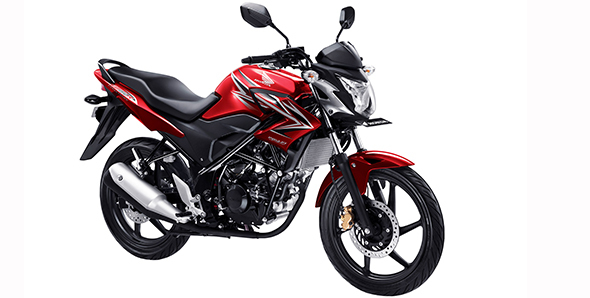 The naked styling DNA would be carried forward in FZ250 as well. Honda plans to launch the CBR250R in March and Bajaj may launch the Pulsar 250cc in april. Yamaha may follow the bike majors with the launch of FZ250. This would also give the Yamaha to price the FZ250 sensitively. Remember, Yamaha plans to launch the facelifted R15 soon.